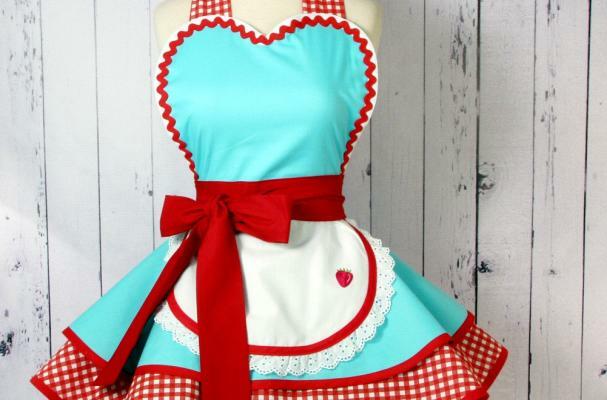 This retro 50s diner waitress apron from Dot's Diner will easily transport you to the past with its sweet design. The classic gingham red is accented perfectly with aqua cotton that is sweetly contrasted with a white ruffle. Complete with a bow, this vintage-inspired apron has an adorable modern feel. For another unique apron that's a bit manlier, check out this Iron Man apron.